There are lots of people who throw the term ‘ghetto’ around. But which of Michigan’s largest cities are the most ghetto of all? What’s interesting is that when you run the data, two of the biggest ‘known’ cities for being ghetto aren’t in the top three. So, statistically, by the dictionary definition of a ghetto, Detroit and Flint aren’t the worst. In order to rank the most ghetto places in Michigan, we had to determine what criteria defines a ghetto city or neighborhood. We started by making a list of every place in Michigan with more than 10,000 people based on the 2013 American Community Survey. That left us with more than 100 places in the Wolverine State. This may or may not come as a surprise, but technically, according to the data, Muskegon is more ghetto than any other city in Michigan. Let’s see why. First off, 3 in 10 residents never finished high school. Does that make a ghetto? Not always, but the income levels sure reflect it. The government stipulates a family of four has to earn about $25,000 a year, or they’re considered in poverty. The average family earns that here in Muskegon. Crime isn’t the worst, but it’s in the top 20 in terms of what the FBI considers dangerous. And, Muskegon has the 4th highest number of convenience stores per capita. Sociologists have indicated that discount stores like these are a staple of inner city life. Saginaw is in a bad place, economically, and with crime. This mid-size city north of Flint is statistically, one of the brokest and most dangerous places in Michigan. There were 29 murders here in 2013. Wow. For a city of barely over 50,000 (and obviously shrinking fast), that means you have a 1 in 1,744 chance of being killed if you spent a year within Saginaw city limits. To put that into perspective, the average Facebook person has 350 friends. If all of your Facebook friends lived in Saginaw, there’s a 1 in 5 chance one of them would be killed next year. A lot of people call this place ‘Benton Harlem”. You can see why when you look at the numbers. Harlem isn’t even this bad. There isn’t a more broke and outright dangerous place in the state of Michigan (and likely in the entire midwest) than Benton Harbor. The 10,000 people just a short drive north of the Indiana state line have quite a lifestyle to endure. Incomes are really, really low, but far above a few other places. In fact, 1 in 3 Detroit families lives in poverty, and that’s only the 9th lowest in the state. Crime, of course, is horrible here, and even the police won’t drive into certain neighborhoods for routine calls. Just about every day, someone is murdered in Detroit (at least that’s what it was in 2013). In Michigan, there are higher pockets of crime, where people are even poorer and less educated than they are in Detroit. Or Flint. This ghetto city might be a little under the radar. Hamtramck is a city of about 22,000 people that’s just north of Detroit. 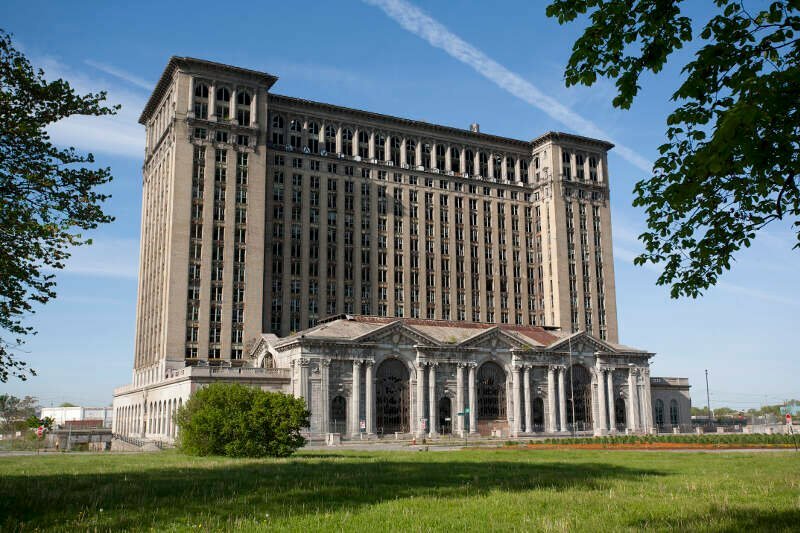 Statistically, this place is even more dangerous than Detroit proper, and it’s certainly poorer and less educated. 4 in 10 people here is walking around without a high school education. That’s just crazy. If you’re between the GM Assembly Center off of I-94 and Carpenter Avenue, get outta there. ‘Only’ 1 in 7,000 people here was murdered in 2013. Continuing our tour of ghetto cities and neighborhoods in the Detroit area, we come to Inkster. 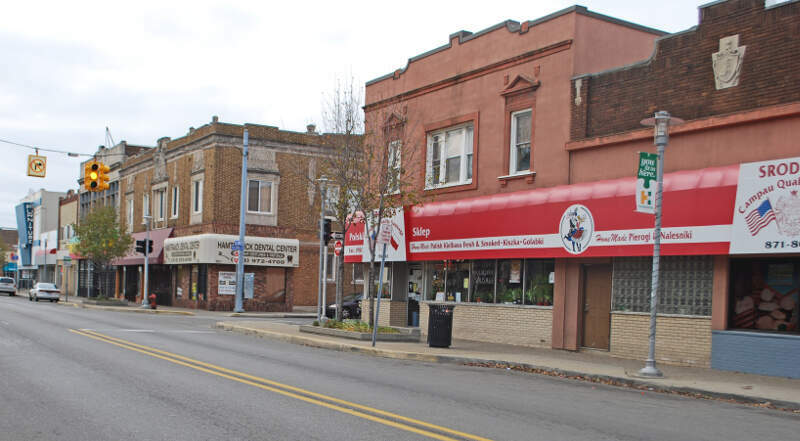 This mid-size city is jam packed on the western side of the Detroit sprawl, between Annapolis Avenue, Beech Daly Road, Cherry Hill Road, and Henry Ruff Road. And ‘Ruff’ this place is. There were 15 people killed here in the last reporting year, and you have a 1 in 22 chance of being robbed for every year you stay here. Essentially, either you, or someone you know, had something taken from them this year. Route 12 goes right through the heart of Inkster. There are about 10 gas stations along this stretch. Don’t stop. Of course, Flint is ghetto. We already know that. What the data is telling us is that Flint is not as ‘ghetto’ as other places. People in Flint are either going to argue with us on that or praise the Lord that we published this. Sure, Flint had 48 murders. But there are more than 100,000 people. We digress. We were a little entertained combing through the ghetto Tweets coming from Flint. A ghetto bird is a police helicopter in case you didn’t know the lingo. Niles is above average for crime, but it isn’t horrible. There weren’t any murders here in 2013 (surprise!). But other factors make it a ghetto. More than a quarter of the adults here don’t have a high school diploma. And the Census measures adults 25 years or older. Which gives lots of people plenty of time to get their GED instead of always trying to get their BUD. It’s a pretty poor place, not too far away from South Bend, Indiana. And if you’ve ever been to South Bend, you know that two blocks from Notre Dame, that place is really ghetto, too. While the people in ‘The Heights’ might earn an extra few hundred bucks a month than those in Muskegon, it’s a far more dangerous place. Each city had three murders, but Muskegon Heights is much smaller, meaning your chances of getting a bullet to the head are that much higher. 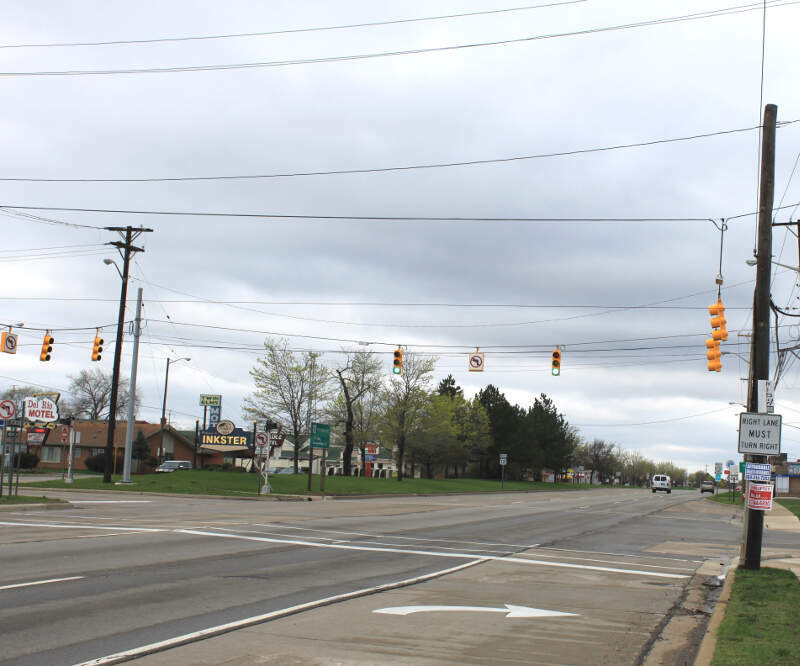 If you’re driving along Route 31, wait until you’ve made it to either Grand Haven or Whitehall to stop. 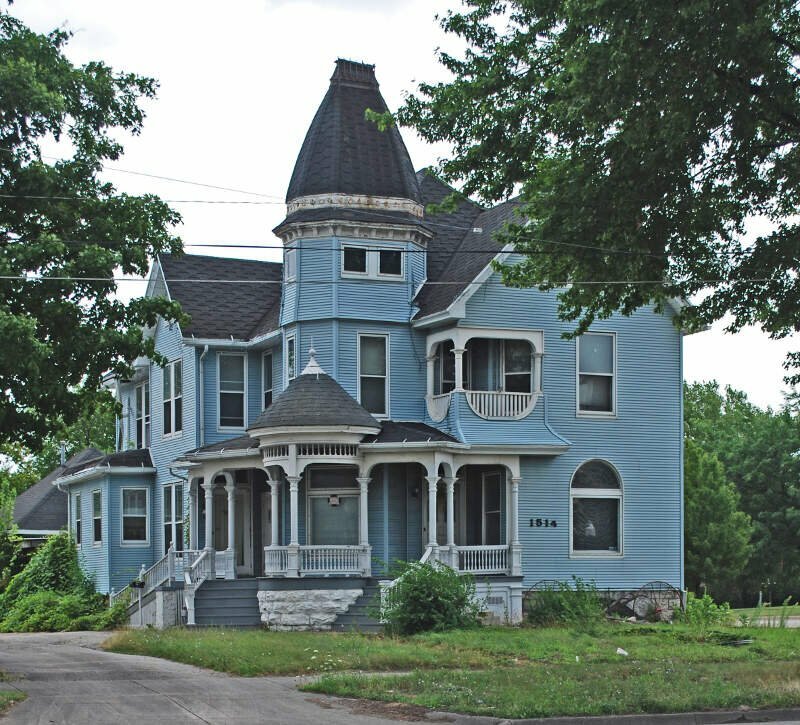 Highland Park is another ‘city’ within the Detroit metro area. It’s very dangerous and poor. It’s bordered by McNichols, Woodrow Wilson and Woodland Avenue. It’s quite literally across the tracks. If you live in the area, you know what we’re talking about. If you’re measuring the locations in Michigan where there are a high number of poor and uneducated residents, and where there are a high number of discounted shopping stores, this is an accurate list. Now that you’re done reading that story, you might enjoy our video summary of the 10 most redneck cities in Michigan. Hilarious. Click here to watch it. This is absolutely the worst article I have ever read on Facebook. I don’t care about your facts and statistics! How can you possibly state that Muskegon is worse than Muskegon Heights or Benton Harbor? Their crime rates are much worse and their income level much lower!! Just because we like our convenient stores? 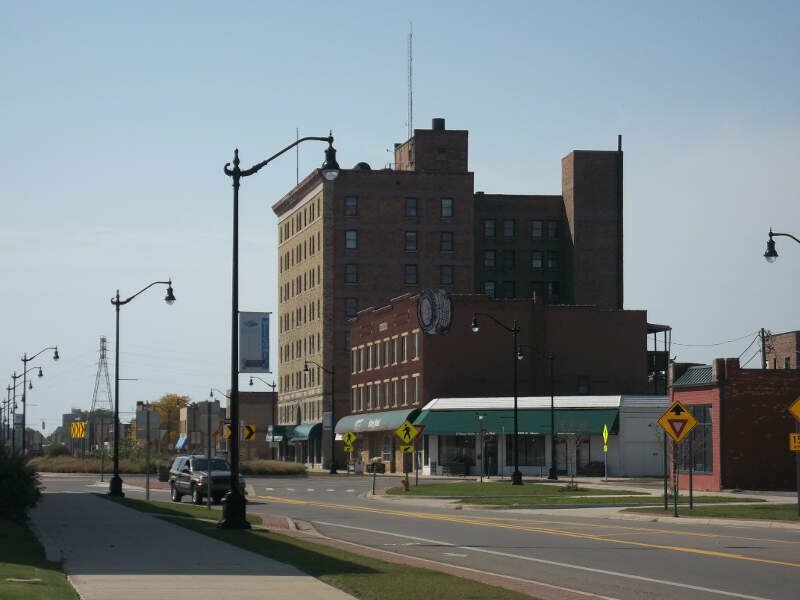 Having lived the majority of my life in Michigan, in a few of these urban communities, and having grown up in Midland, which was recently ranked in one report as the number one best place to live in Michigan, I am proud to now live and own a home in downtown Muskegon. 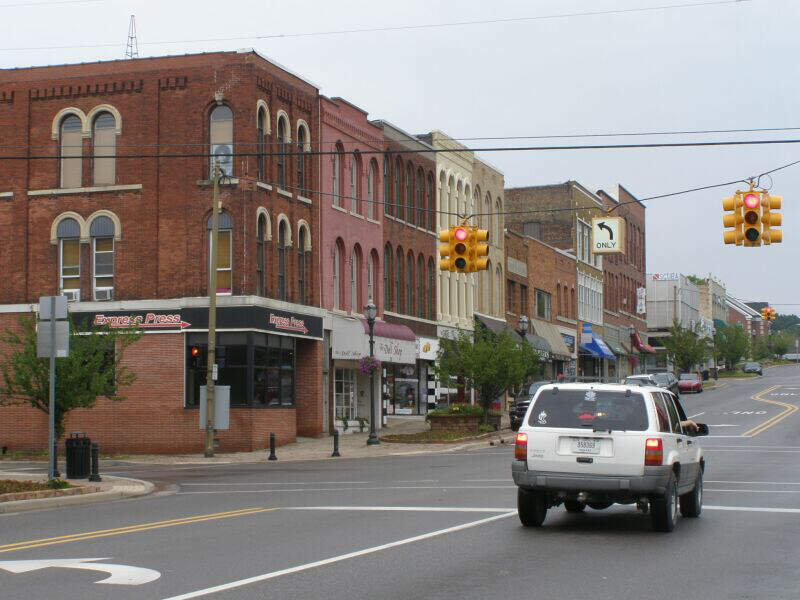 Muskegon is a thriving community, a walkable city, and an increasingly diverse community. Your statistical analysis is misguided, your photographic evidence out of date, and your use of the term “ghetto” a thin attempt to disguise your prejudice. 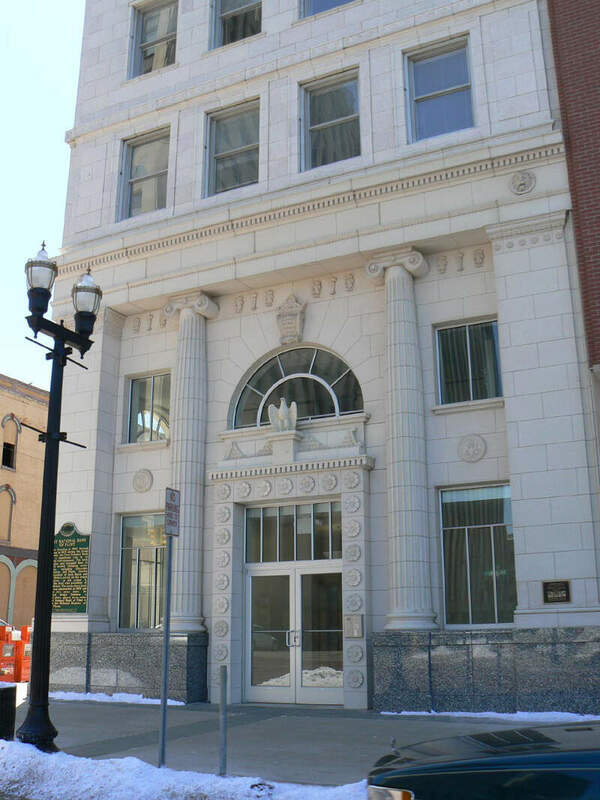 I’m proud to make my home in the city of Muskegon! There is no place in Michigan I would rather live. I agree. I have lived in Muskegon area for 40 years. I have lived in most the ghetto neighborhoods at one point in time and I am still alive! I have even lived in Muskegon Hts a couple of times. Actually, in those 40 years, I really never lived anywhere but the Ghetto referenced neighborhoods. I now live just outside of Muskegon, through no choice of mine, (inherited family home) and I still go to Muskegon to shop, eat dinner, visit friends and have never been, killed, raped or stabbed!!!! BTW I also have a college degree in Marketing/Management from Muskegon Community College and have owned my own business twice. It is not as bad as folks are making it out to be! I agree with that mostly, except there are places I wouldn’t feel safe in at night. Someone did try to hijack my car once at the 5-Star ghetto Mart in The Heights on Sherman. People can use ghetto to describe things and shouldn’t be called prejudice based only on that. Ghetto is a commonly understood term, a real thing. I live in Muskegon, yes there are about two neighborhoods that are ghetto: Angel, McLaughlin and the southern half of Nelson (the northern half is downtown and is actually very nice). The eastern half of Marsh Field is also somewhat ghetto. Jackson Hill used to be seedy, but it is changing for the better. 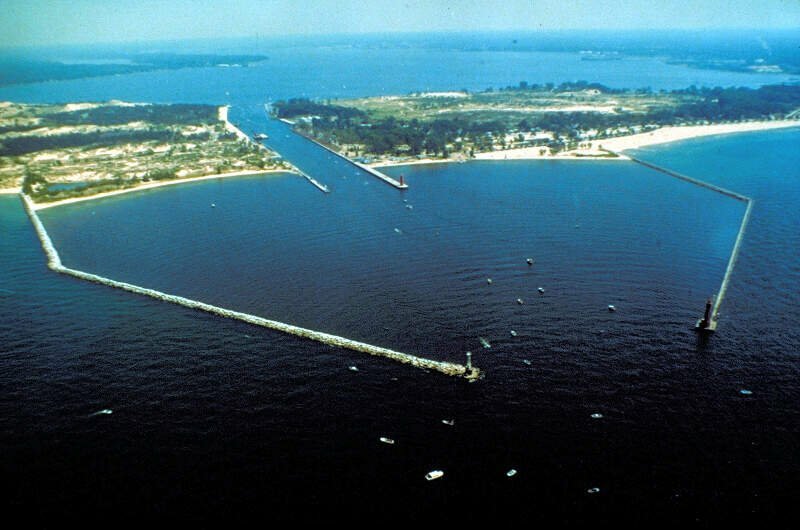 No one from Muskegon will argue with me about this. This area makes up only 20% of the city, and they not dangerous AT ALL to drive through (unlike The Hts at night). They do not compare at all other places I’ve seen. By the way, every exit on US 31 and BUS 31 is safe, the ghetto areas are in the city core. Not the on the edges by the highway. Muskegon is at the epic center of the county. Muskegon County is the 3rd most popular tourist destination in Michigan. We have one of the top ten beaches in North America, Michigan’s Adventure (a huge amusement park), the only luge track open to the public in North America, a natural deep water port, amazing sand dunes, plenty of great restaurants, a growing and innovative downtown, Heritage Landing (which hosts numerous regional festivals), The best farmer’s market on the west coast, and even in the middle of our ghetto neighborhoods we have more trees and green space than any concreate jungle in Detroit or Flint, and have seen, wild turkeys and even deer running around in the middle of our city. If you were here and needed any help, you could literally ask just about anyone and they would help you. Yes, even people who live in the ghettos. I find your grammar to be entertaining in several places, but especially this one while speaking of other people’s education “More than a quarter of the adults here doesn’t have a high school diploma.” Apparently your education is a little lacking as well. By the way, I lived in Niles for 10 years and it is actually a pretty nice little community which is quite safe. That’s called a typo. Have ever made a typo before? I find it especially easy to do when one modifies a sentence and forgets to change a word. I certainly do not speak ghetto, not even close. Lol isn’t it ironic that there’s a white trash area on here but blacks aren’t mentioned once in the ghetto list… 80%+ of all killings in These cities are black citizens.. Wanna be gang bangers. Its an epidemic.. If a white cop kills a black person, theres an uproar, a black person kills anyone its just another statistic.. Sad and racist if you ask me..
Racism and prejudice are not the same thing. Racism deals with the economical suppression of a people not in power by another group of people in power. If the people not in power have no control over determining another’s economic growth they can’t be considered racist. Prejudiced, perhaps but racist? No. Sorry DJ that is incorrect. Racism is quite simply – believing something about someone or an entire group based on their race. Anyone can be a racist – believing otherwise only contributes to the problem. Please don’t fall into the latest spin that liberal educational institution are pitching. Use your intelligence and critical thinking – look up the definition of the word. We have to stop our prejudices – and openly actively listen to one another – and then we can begin to shed our racism and move toward a better world. Believe that only one group can be racist only entrenches that group in that beliefs and does nothing for the growth of society. I know this is a late post but I lived in Westland, Milford, Wixom, Livonia, Shelby Township and Fenton. Fenton is by far my most favorite place I ever lived. There is the old historic district, awesome places to eat including the Laundry and Crust. I knew very little about it before I moved here. Housing is very affordable and crime is low. The woods are behind my back yard. Tons of parks to even swim or fish at. We feed the deer corn in our backyard. You are only an hour from Ann Arbor or Detroit. You are close to the Flint Airport and only 3 1/2 hours from Traverse City. I would remove it from your list. The High School gets a very good rating too. Your statistics don’t even make sense. You say Muskegon Heights people make “a couple hundred bucks more” than Muskegon folks, but the data in your article says $19k for Muskegon Heights and $25k for Muskegon. Also, there are few convenience stores and drug stores in MH because the businesses all closed up. Drive down Broadway and see how many businesses are boarded up. I saw this list before 2018, and it’s pretty much a copy and paste.